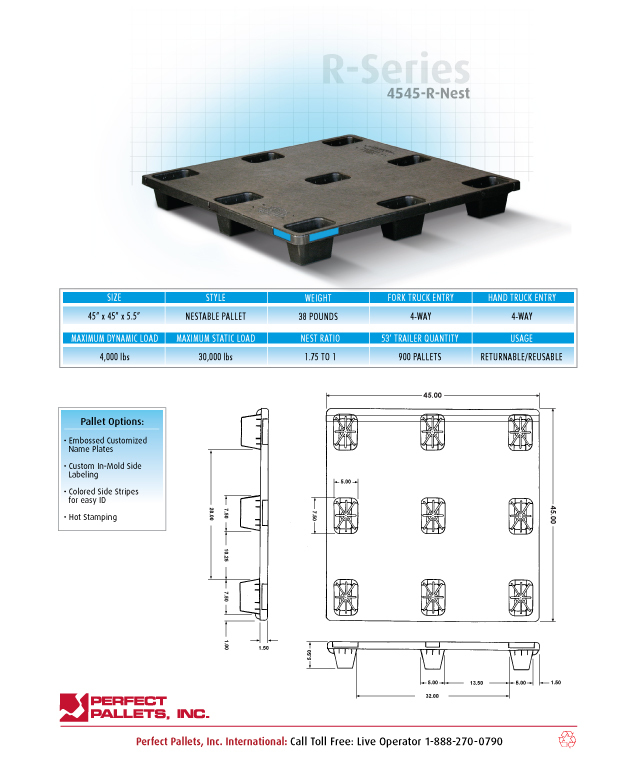 The Perfect R-Series plastic pallets are specifically designed to last in returnable & reusable applications. These pallets are ideal for harsher environments and repeated use in regular and freezer operations. Our pallets are engineered for durability where it is needed the most - the legs. Our unique reinforced legs absorb and deflect fork impacts. 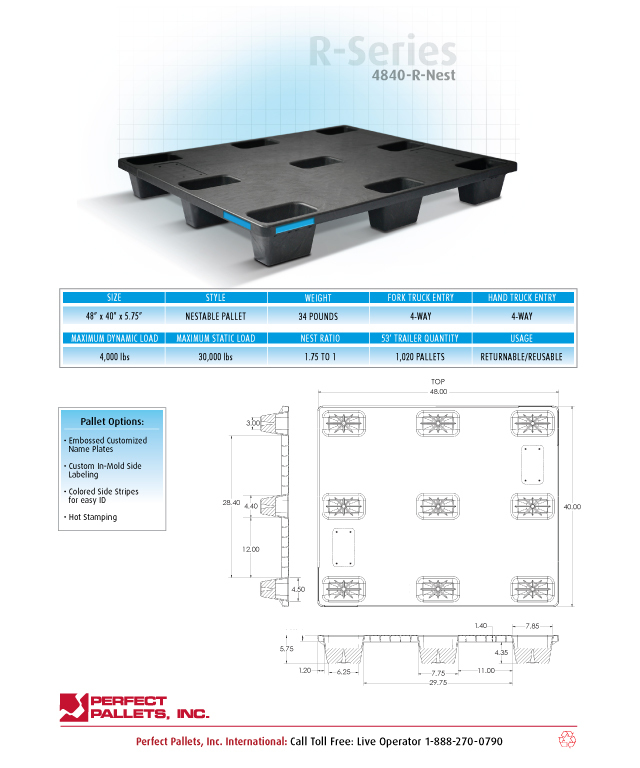 The Perfect Pallet is designed for load stability and integrity throughout your supply chain.